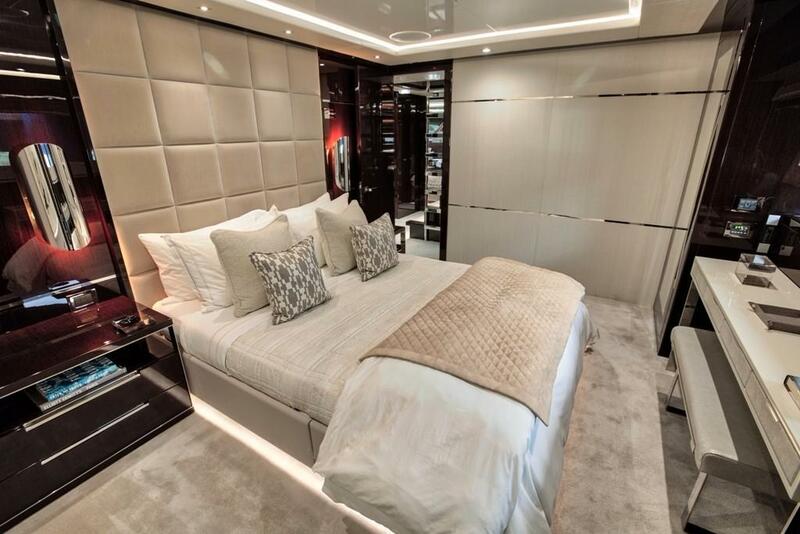 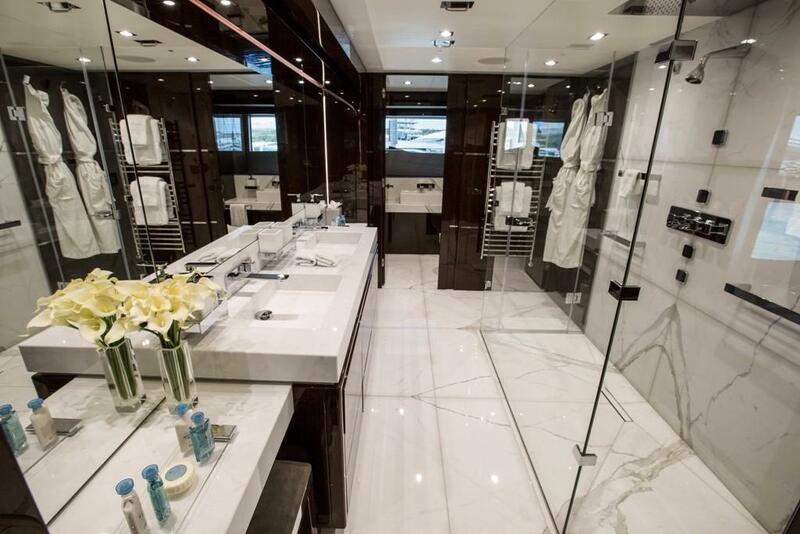 TAKE 5, 131' 2016 Tri-deck Sunseeker is stunning. 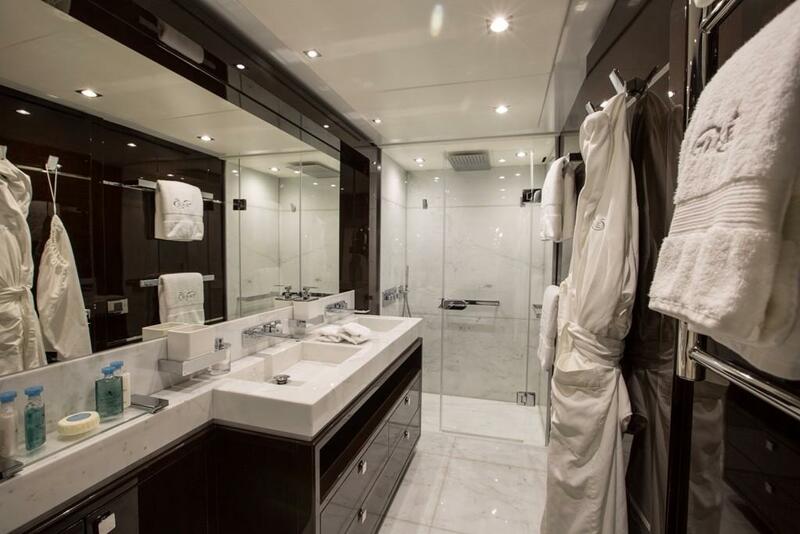 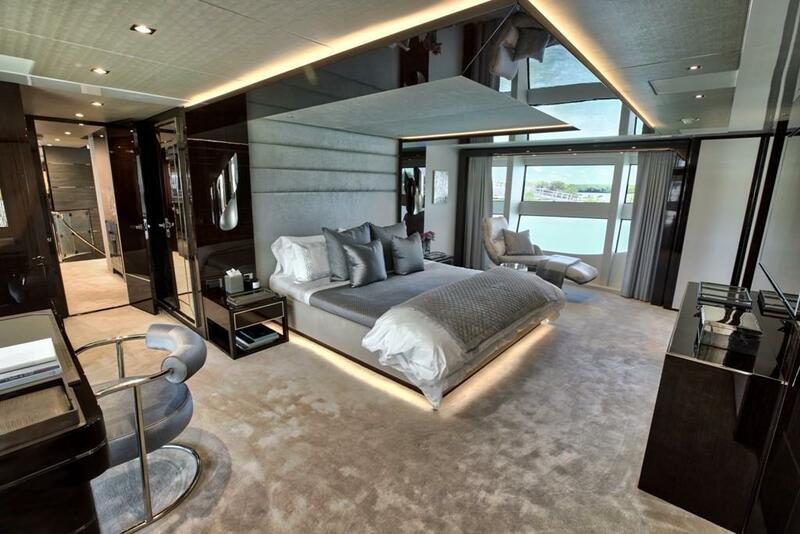 Comfortable accommodations are provided for up to twelve guests in 5 well appointed en suite staterooms. 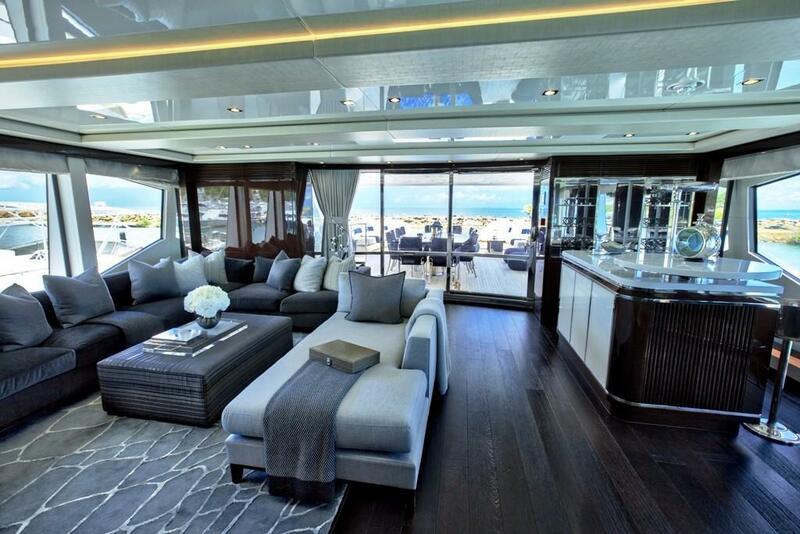 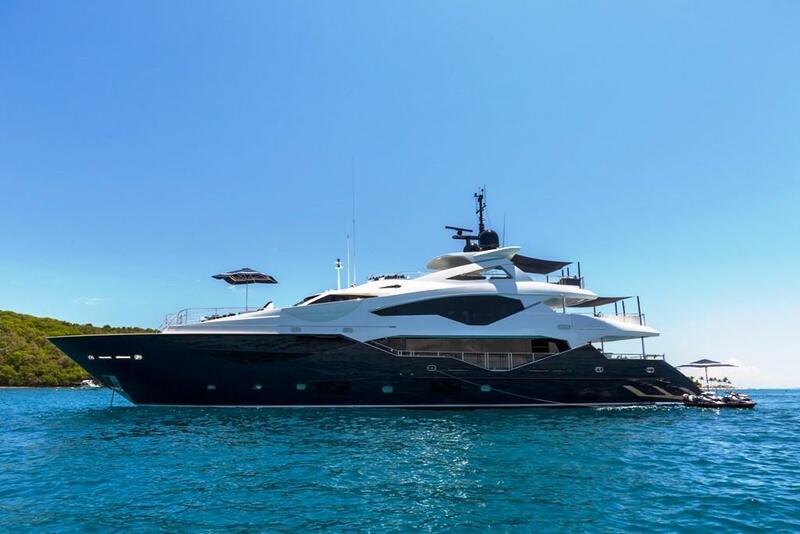 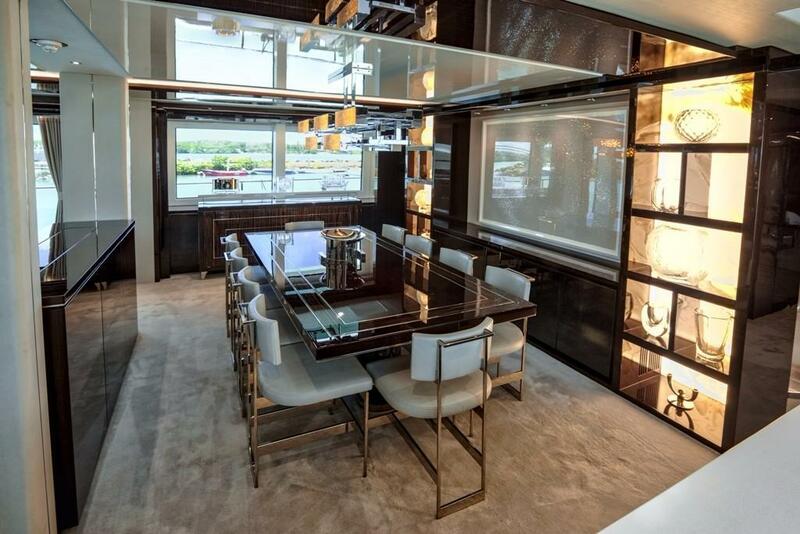 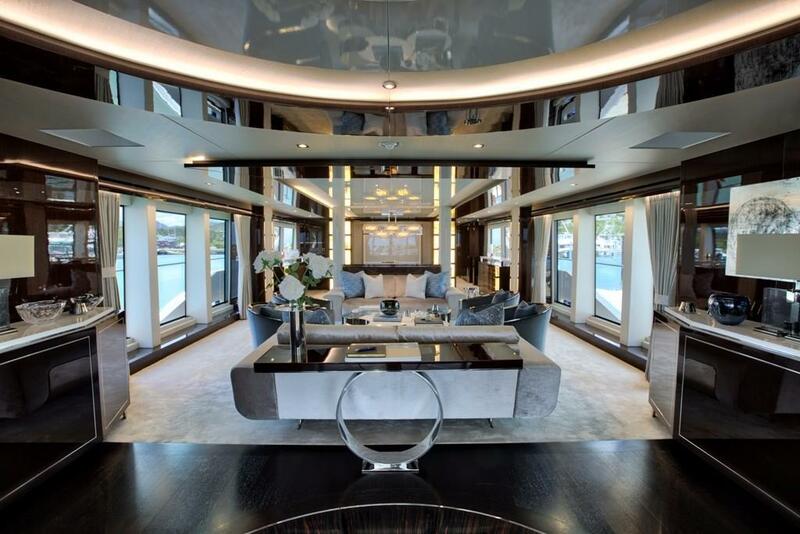 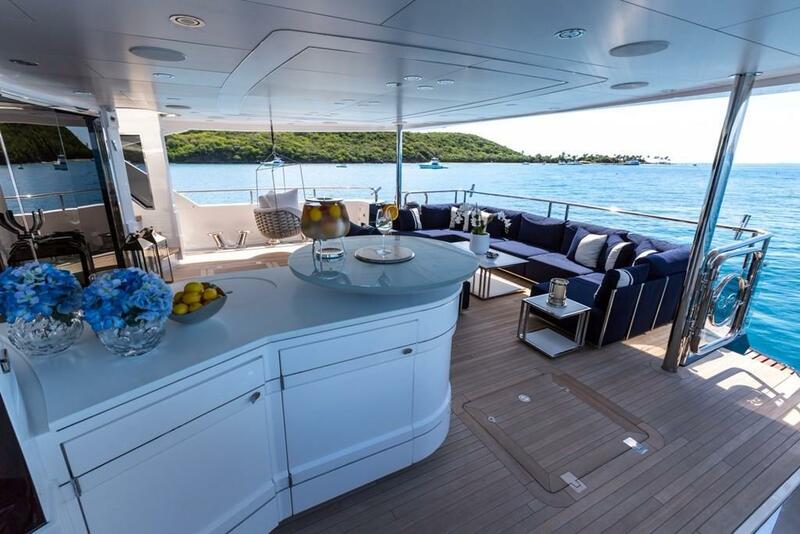 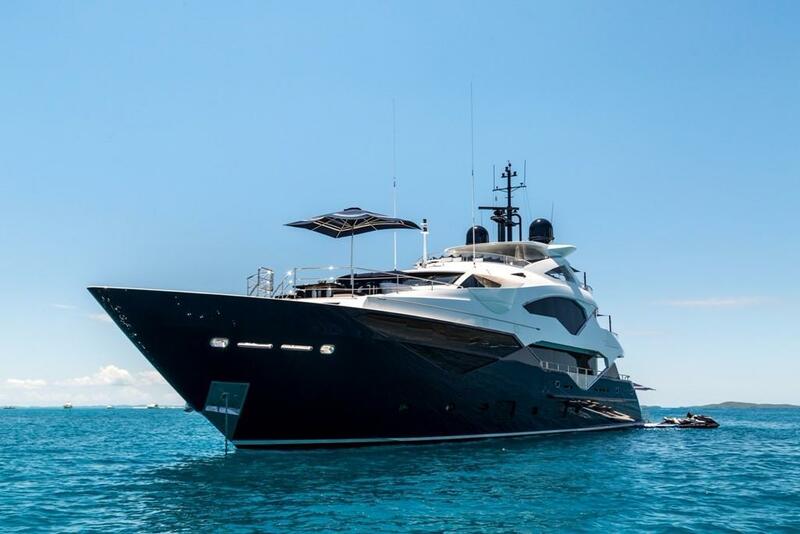 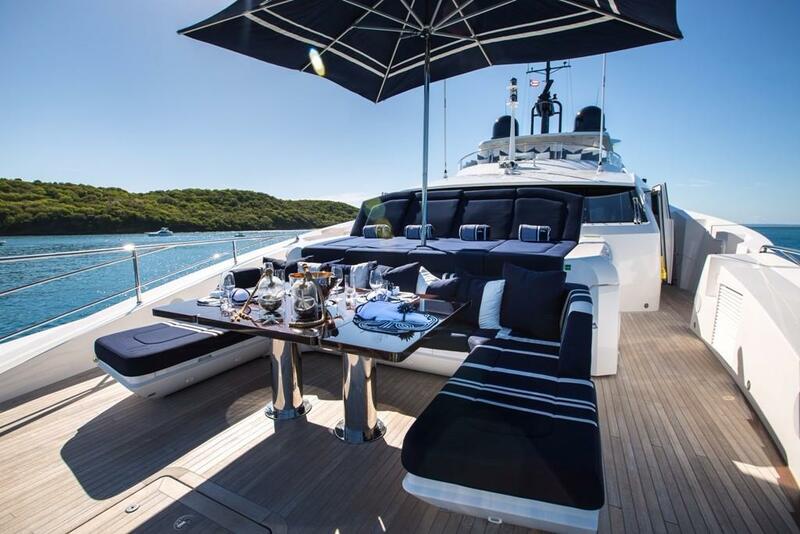 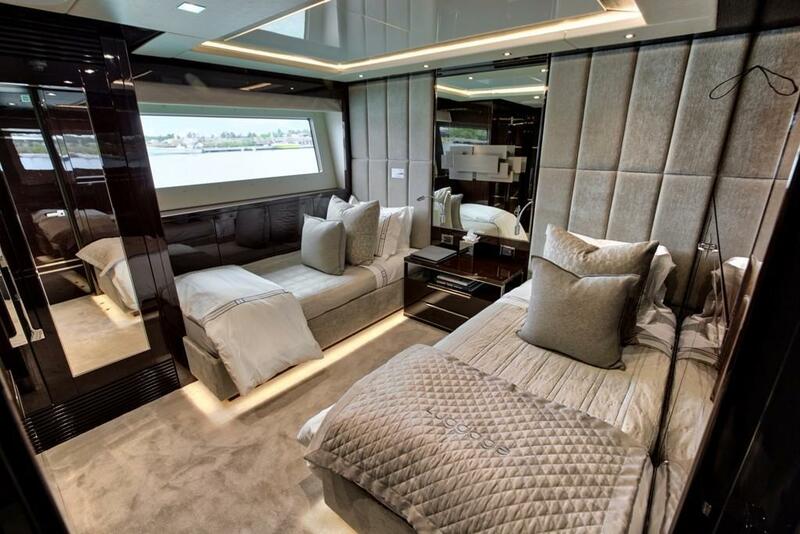 The main deck features a lounge, separate dining area and full galley, while on the upper deck you’ll find the more informal sky lounge with cocktail bar and state of the art entertainment center. 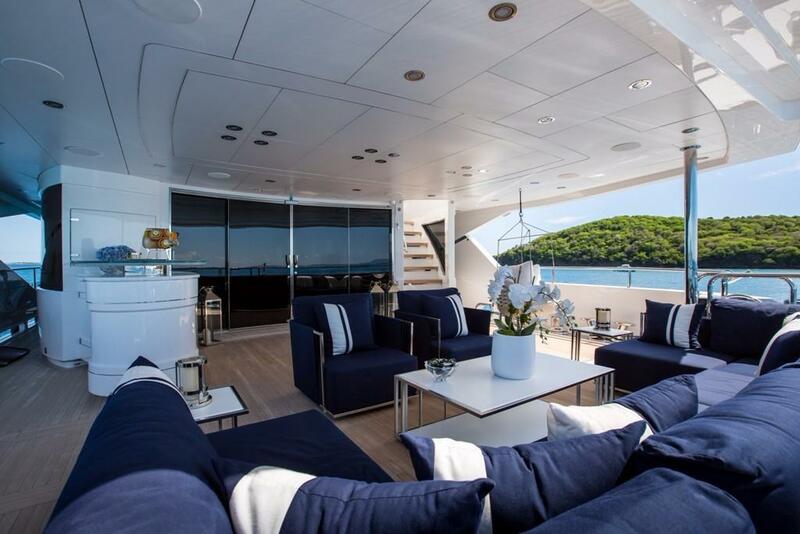 Exterior spaces provide a large variety of entertainment areas. 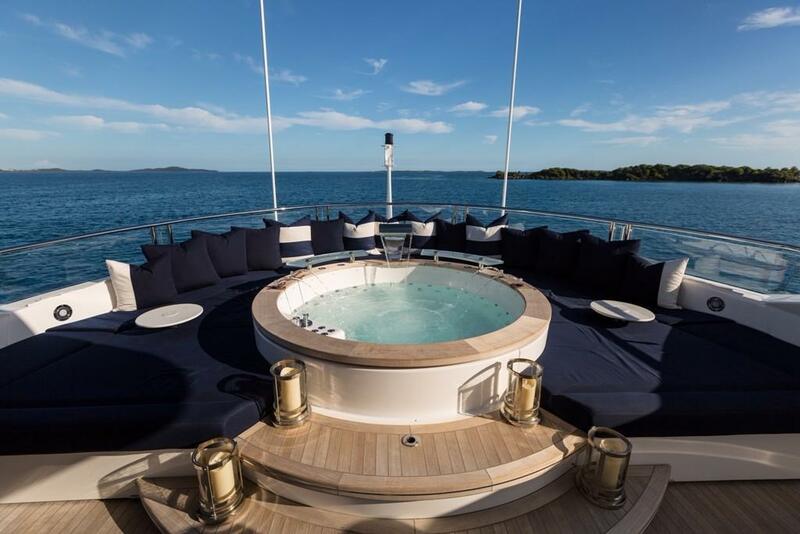 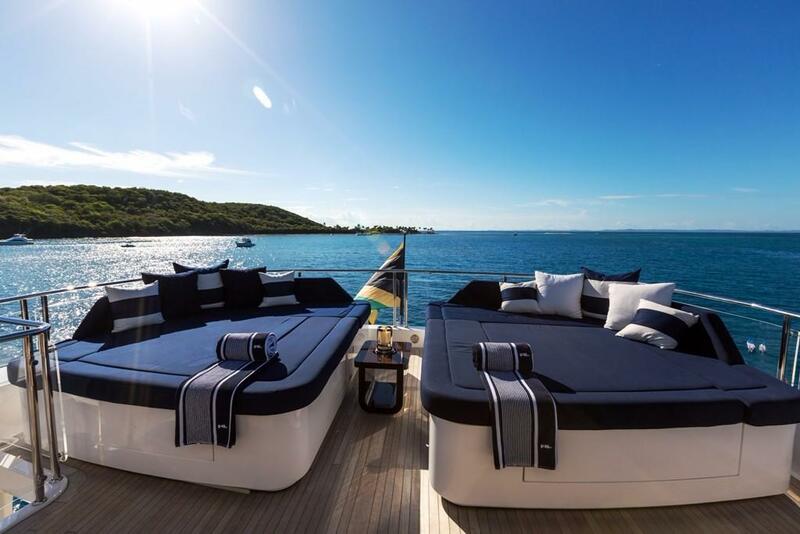 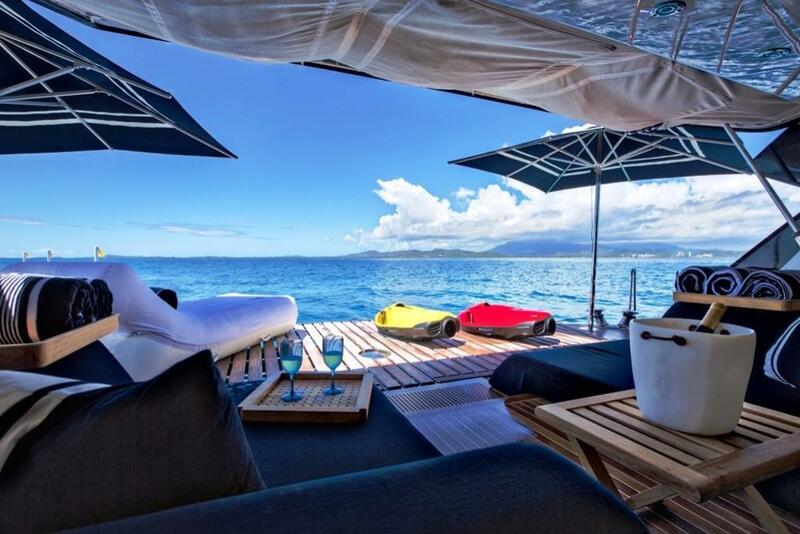 From the sun deck with hot tub, wet bar and sun loungers to the fore deck sun pads providing an exhilarating, wind-in-your-face cruising site or quiet retreat while at dock, there's a place for everyone. 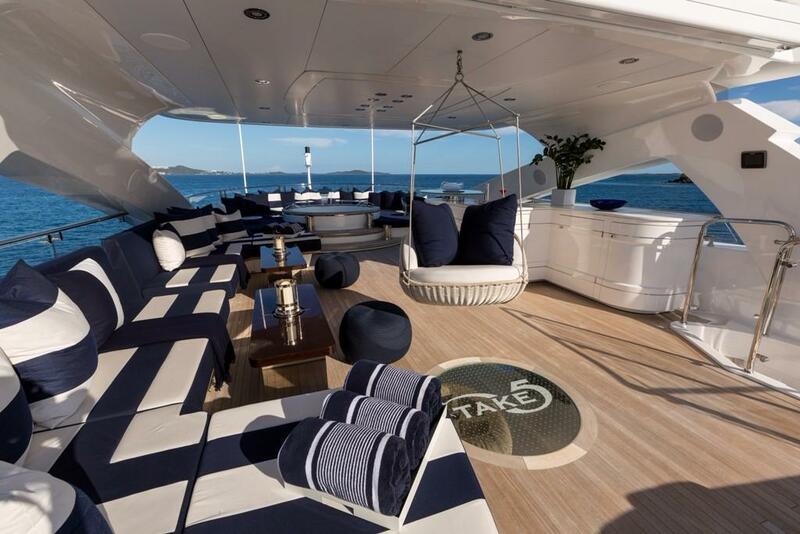 Built to RINA commercial & MCA Unrestricted, TAKE 5 is a perfect example of the professional fit and finish that defines every Sunseeker. 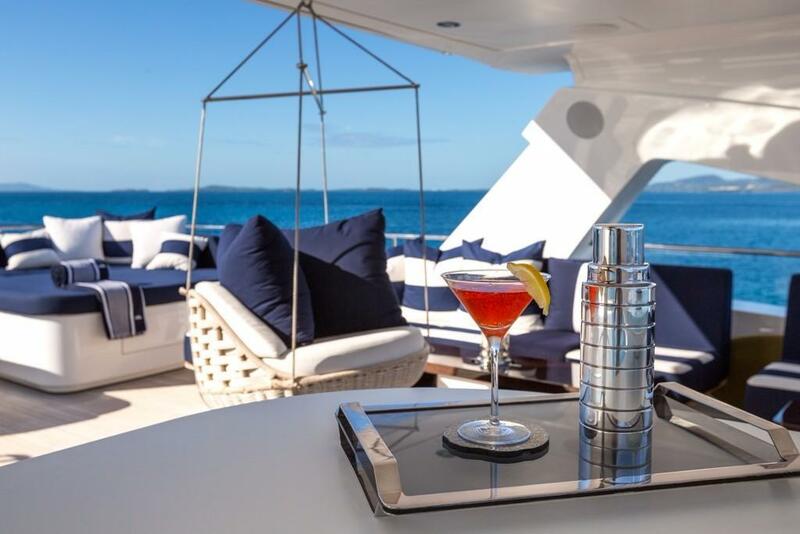 Tijssen Marine Personal Assistance touch screen for monitoring all the main ship systems.